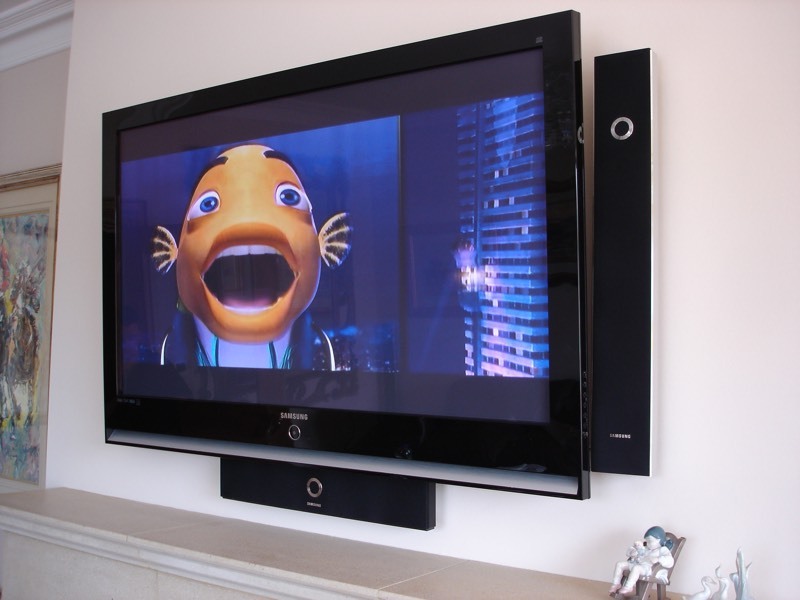 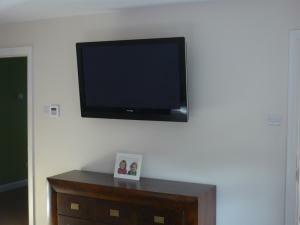 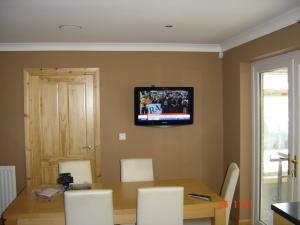 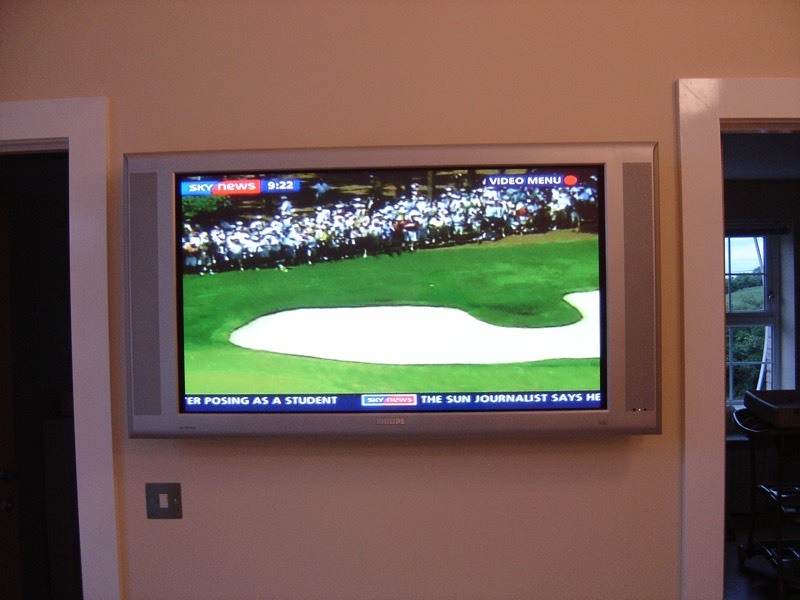 With LCD and Plasma screens becoming affordable, more and more people would like to have it professional installed. 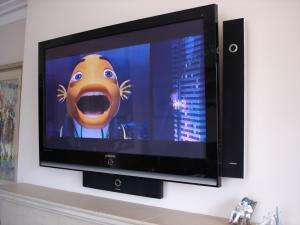 Why buy the T.V to sit and look at a mass of wire’s coming from it. As you will see from our photos we carry out and install all sizes of screens to the highest standard, from tracking walls and first fix of specialised cabling to a simple install using trunking to hide the cables in.